Strava has released a detailed response to the heatmap security concerns, which you can read here. Strava is a popular fitness app for Android and iOS, and one of its main features is the ability to see other users' tracks and runs on a map (or share your own). 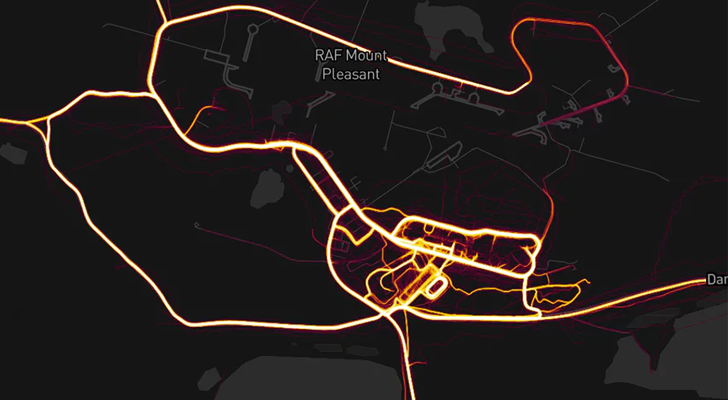 In November of last year, Strava released a global heatmap, with the tracks of every run and bike ride visible as bands of light. There's only one problem - it revealed the location of several secret military facilities. Showing outlines on known military bases obviously doesn't hurt anyone, but as Schneider mentions in the above tweet, the map also makes several publicly-unknown bases visible. Outside of combat zones, here's a single bicycle track around the edge of Homey Airport, Nevada - commonly known as Area 51. Mount Pleasant, a Royal Air Force station located on the Falkland Islands, is brightly lit. The moral of this story is that if you are stationed at a secret military base, you should probably disable GPS tracking on your phone.